When using grey water for the garden, it is important to change the products in the house to biodegradable alternatives. Biodegradable cleaning and beauty products are becoming more available in grocery stores and health shops and it’s nice to see lots of different types to choose from. 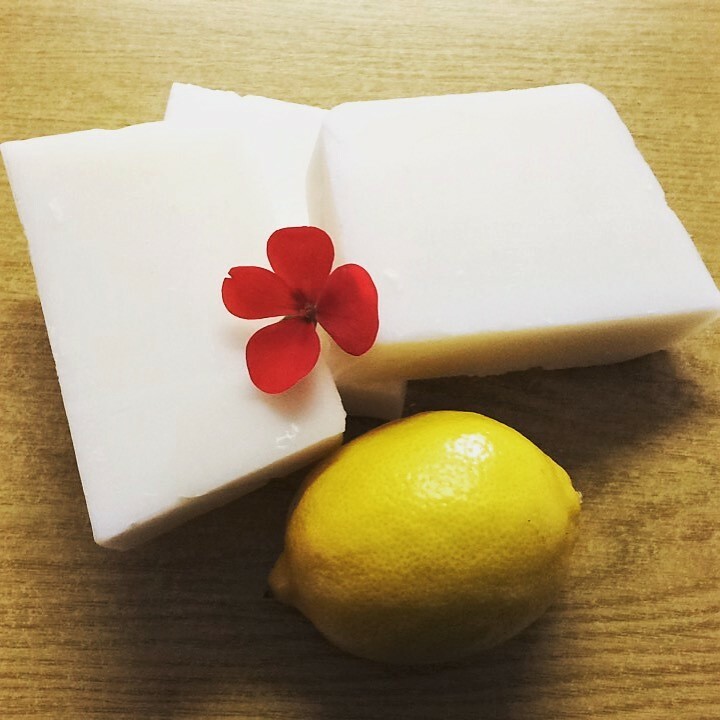 Making soap is also very easy and there is no reason why you cannot make your own soap for half the price. It is important to follow this recipe carefully, measure out the required ingredients and take heed of safety precautions. It is also imperative that only glass and stainless steel is used and use gloves when working with caustic soda. In a well ventilated area (preferably outdoors), gently pour the caustic soda into the water and mix. The water will look murky and will immediately start heating up. Put the bowl down with the spoon in it and leave for a few minutes while you heat the coconut oil. While the caustic soda is dissolving, heat the coconut oil on medium in the stainless steel pot until it is liquid. Ensure the coconut oil does not get too hot. Aim for 70 degrees. Check your caustic soda solution, mix any remaining solids in to make a lye. Check the temperatures of both the lye and the heated coconut oil. If there is a difference of no greater than 15 degrees between the two substances, then the lye may be added into the coconut oil and mixed with a stainless steel spoon first. Use a stick blender to thoroughly mix lye and oil at intervals of 10 seconds blending and 10 seconds mixing using a spoon. This is to ensure your stick blender does not overheat. The mixture will reach trace which is a pudding like consistency that you can observe when pulling out your spoon or blender and any mixture that drops sits somewhat on top of the rest of the mixture. Pour the trace mixture into the moulds and wrap the moulds in the plastic shopping bag and hot box it by wrapping it up in a few blankets or storing in a box filled with material. After 36 hours, remove the moulds from the hot boxes and cut into desired shapes if necessary. Place the soap in a well ventilated area and allow to cure for 6 weeks before using.